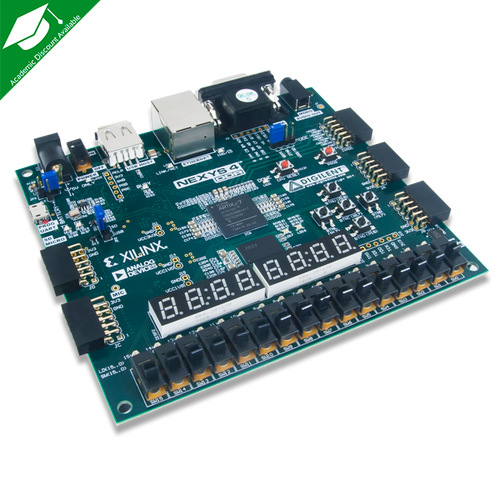 This tutorial describes how to get started with our Ethernet cores on Digilent Nexys 4 DDR FPGA development board. The board has one Artix XC7A100 from Xilinx and a RMII Ethernet interface. We will use the FC1002_RMII core. It has Remote Programming, TCP/IP and Logic Analyzer support. Download FC1002_RMII.edn to the project folder. Download Nexys4DDRTop.vhd the project folder. Download Nexys-4-DDR-Master.xdc the project folder.